During your stay, you’ll also be treated to the Eclipse Art Gallery’s Fall art show, ‘Reflections of Algonquin Park’ right within the Deerhurst premises. This year, Eclipse Art Gallery celebrates the 125th anniversary of Algonquin Provincial Park with a wonderful collection of art work that reflects the rugged natural beauty of Algonquin and Muskoka. Saturday guided canoe trip in Algonquin Park using 8-person canoes. A picnic lunch and transportation from the resort to the park is included. Departs at 9am. A nightly resort fee provides additional benefits and services like use of canoes, kayaks and SUP boards at the resort and green fee at Deerhurst Lakeside after 4pm. Our winter shows are always special as we get to celebrate Christmas, enjoy winter activities and sit around a fire with great friends and family! and some will just make you feel happy looking at them. Please contact us if you see a particular piece you are interested in! Happy Holidays to all from Bessie, Don and Karin! A Colourful collection of art works reflecting Muskoka's fun time on the lake & cottage and connecting with our Algonquin Park artistic experience. Featuring artists from Ontario, Quebec and our own Muskoka back yard. 'Reflections of Algonquin Park' Annual Autumn Art Show celebrating 125 years of Algonquin Park. Artists from across the province participate in this special event. Algonquin Park and Art are closely intertwined thanks to Tom Thomson and his friends of the Group of Seven. One thing the famous artists from then have in common with our artists now is their desire to explore new ways of painting, reflecting our natural landscape in an unique way. 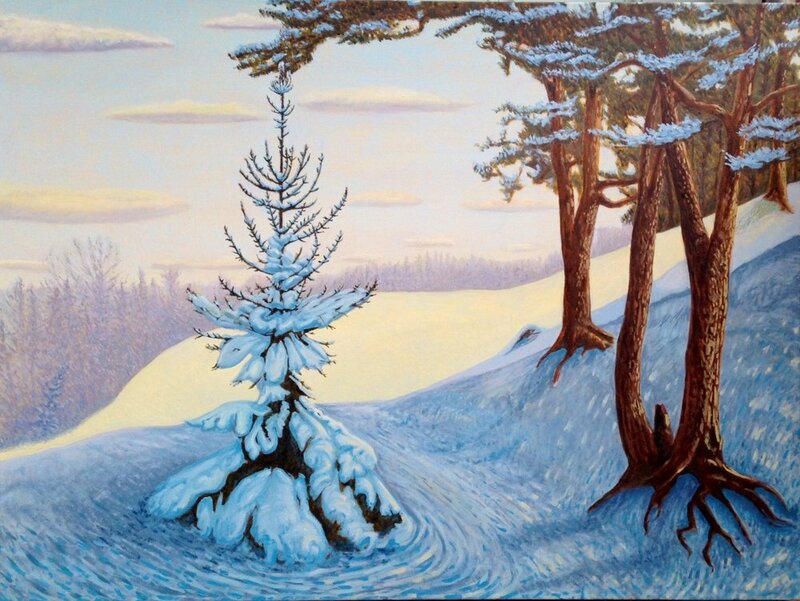 We are excited to showcase our 'Reflections of Algonquin Park Art Show ' and hope our artists inspire you to visit the Park during this special year and years to come.